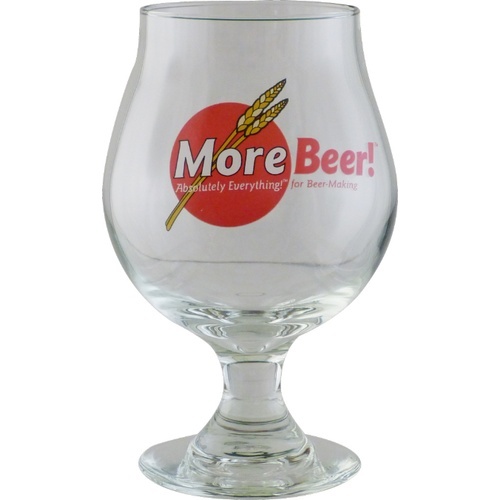 One of our favorite beer glasses because it focuses the aromas and adds to the overall joy of drinking a beer! 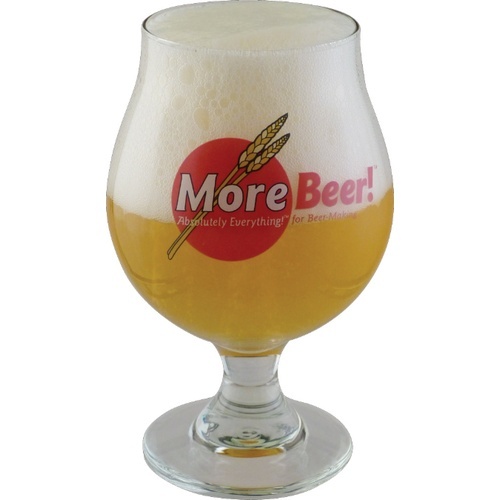 Great for all styles of beer, but a must have for Belgian styles (including all sours!). Good style for beers you sip. Perfect size for a stout! Nice and sturdy. The shape concentrated the aromas. Printing is very well done, glass is beautiful! And you'll be surprised by its capacity... 16oz! Love the glass. Outstanding quality. I purchased this glass while it was on sale, figuring why not give it a shot. It arrived intact - something I wouldn't say happens all of the time. The packing was meant to make sure there would be no chipped edges or broken stems. Impressive. The printing was well done. No runs, smudges, or misalignment of colors. I also appreciated how easily the sticker came off - thanks! This review should end here, except I never paid attention to the size. OMG - I poured a bottle of beer and had plenty of headroom left! What a wonderful surprise. Given the shape and small appearance, I would never have thought it was 16 oz capacity. Overall, this is now one of my favorite glasses. I'm only sorry about one thing - they should have allowed more then one per customer!! !